The path to the BMW Motorrad International GS Trophy 2018 is now set: all tracks lead to Mongolia. 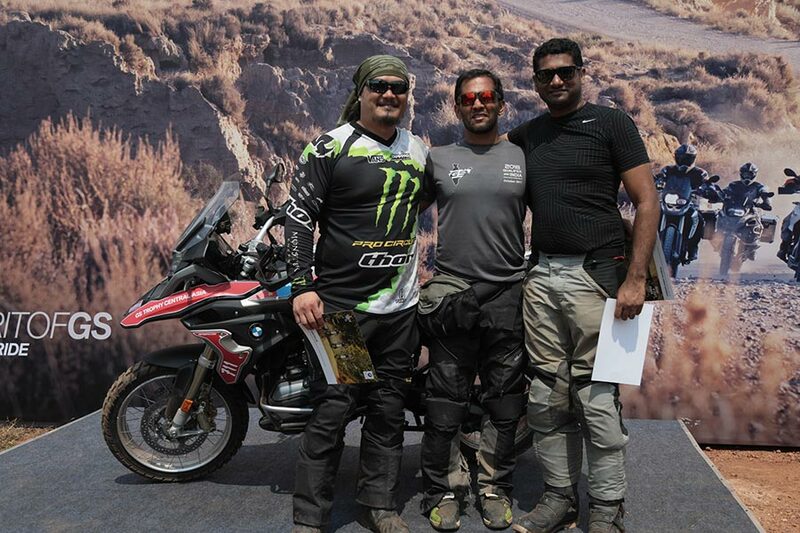 ‘Team India’ – Mr. Sanket Shanbhag, Mr. Suprej Venkat and Mr. Winston Lee will compete with other teams from across the world in a week of adventure riding, special tests and teamwork challenges. The trio are fully equipped by BMW Motorrad for the adventure ahead, flown to Mongolia and each will be presented with a brand new personalized BMW GS motorcycle to ride for the duration of the event. 114 BMW R 1200 GS Rallye motorcycles have been prepared for the rigors of the extreme adventure competition. The International GS Trophy is an integral part of BMW Motorrad and our GS customer engagement. The GS Trophy is a celebration of the spirit of BMW GS motorcycles, bringing together those elements of freedom, adventure and challenge that these bikes incite. We are proud that all three BMW GS riders will go on to make history for BMW Motorrad India, by forming the first Indian team to enter the BMW Motorrad International GS Trophy. We truly hope that these incredible Indian ambassadors will demonstrate the unique GS spirit and will battle out various challenges in the prestigious global off-road event and will continue this success story for a long time. Mongolia offers magnificent conditions for the GS adventure. A combination of deserts and steppes makes the country incomparable. Gravel and dirt tracks will challenge man and machine every day. The riders will not only demonstrate their riding skills but will also need a large amount of team spirit to overcome all of the challenges.